In two years, I have not felt the sense of urgency about the political and security situation that I have begun feeling this week. If the ongoing degradation in the security situation is allowed to continue, the result will almost certainly be a durable disillusionment with the US presence here. Armed attacks inside Kandahar Province have taken a deadlier turn over the past month or so -- fewer audible rocket-launches during the night, but more deaths: 2 moderate, pro-central government mullahs praying in their mosques, for example, two district police chiefs and several of their men, in the border area with Pakistan, at least two serious fire-fights leaving dozens dead and wounded, and most recently, the assassination of half a dozen members of government security forces at a Taliban road-block in the north of the province. But even beyond the number of actual incidents is the rising level of frustration felt even by those Kandaharis most committed to the stability process, to the central government, and to the Western presence here. The terms in which this frustration is expressed are wholly new. "Soon Afghans will turn against the Americans the way they turned against the Russians," several people have told me in the past week. "And once that happens, nothing will stop them." A businessman added: "Even doctors and engineers took up arms against the Russians." In the past week, a murky dust-cloud ("Khaura") engulfed Kandahar. Popular wisdom associates this phenomenon with an imminent change of regime. Kandaharis were harking back to the fall of Daud Khan and Amanullah - when, they said, a similar dust storm obscured view for days. - The monopoly of public resources, such as stone and water, for members of the governor's family or tribe. - The jailing or release of prisoners for reasons of personal interest. No significant Taliban or al-Qaeda official has been captured on the governor's initiative. But the "search for Taliban" has served as a pretext to ransack and loot houses throughout the province. - The monopolizing of legitimate private business opportunity, like the right to sell gasoline within city limits, or the right to operate taxi services between Kandahar and neighboring cities. - Assassination attempts against officials opposed to the governor's practices, such as the prison director's recent (7/29) attempt to kill the chief of police. - The refusal to pay salaries of security forces not under the governor's direct command, leaving the governor's private militia the only viable armed force in the province. "In one year, the Americans will lose this country," said a highly educated Kandahari recently. 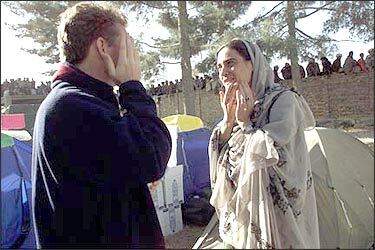 Read and comment on this story from Oregon Live on October 7, 2002 on Sarah Chayes, a Harvard-educated Middle Eastern history scholar who speaks Arabic honed during a Peace Corps stint in Morocco, who covered the Taliban's fall in Afghanistan and found Afghanistan's plight so disturbing that she left journalism to start an aid organization in Kandahar. Chayes has become a Kandahar curiosity of sorts. She drives herself around town, in contrast to most Westerners, who hire drivers. "Certainly the first female to drive through Kandahar in 30 years," she commented in an e-mail last June. Chayes has moved into a compound that contains offices, living quarters and a yard with animals, including a black cow that belonged to Mullah Mohammed Omar, the fugitive Taliban leader. Omar's movement would never have gained power, Chayes says, if not for the warlords, whose excesses led Afghans initially to welcome the fundamentalists. Warlords are digging in across Afghanistan, she says, threatening Karzai's government as much as al-Qaida and the Taliban. "The warlords are the bad guys, and the Americans don't seem to take that on," Chayes says. "There is no lack of religious extremists hanging around in the woodwork waiting for this experiment to fail." She's impressed by U.S. Army civil-affairs troops, who doggedly rebuild schools and drill wells in full combat gear. In contrast, she says, most international relief workers in southern Afghanistan are too frightened to work where help is most needed, outside Kandahar. "The only organization that's really going out," Chayes says, "is Mercy Corps," the Portland-based relief and development organization. Mercy Corps, which has 12 international staff members in southern Afghanistan, employs more than 400 Afghans in the countryside. It hires thousands of day laborers to work on community projects ranging from road building to irrigation repair. But long-term financial support for such programs now appears "questionable at best," says Lynn Renken, a senior Mercy Corps program officer. Sarah Chayes, who covered the fall of the Taliban for National Public Radio, found Afghanistan's plight so disturbing that she left journalism to start an aid organization in Kandahar. Now, a year after the U.S. war began, Chayes regularly encounters obstacles that plague the nation as it teeters between recovery and civil war: Traumatized survivors, anemic foreign aid, rampant corruption, widespread insecurity and most of all, greedy warlords consolidating power. 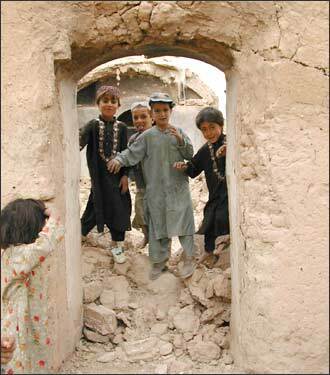 Denied foundation stones to rebuild bomb-damaged homes recently, she found that Kandahar Gov. Gul Agha Shirzai had cornered the market by seizing the local quarry. Chayes talked her way past armed guards to see the U.S.-backed kingpin, a bear of a man who announced she was in luck: He was opening a cement factory. 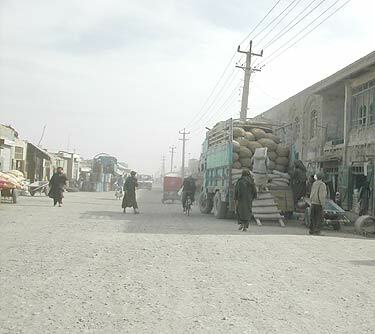 Caption: A typical street in Kandahar, this is where a lot of the wholesale food is sold, primarily almonds and dried fruit.
" 'Let me give you some advice,' " Chayes recalls Shirzai saying, smiling broadly. " 'Make your foundations from brick, with cement mortar.' "
On this day a year ago, U.S. and British bombers pounded Afghanistan as the Bush administration targeted al-Qaida and the Taliban less than a month after the Sept. 11 attacks. Controversy over aid erupted from Day 1, as some relief managers complained that simultaneous U.S. air drops of food and medicine blurred the line between humanitarians and combatants. Afghanistan maintains an unstable peace for the first time in 23 years. More than 1.7 million refugees have returned to the shattered and heavily mined nation, doubling United Nations projections. Girls, banned from schools by the Taliban, are returning to classrooms supplied with books and other help from abroad. But the influx of refugees has overwhelmed the United Nations and relief agencies. Developed countries, which pledged $4.5 billion in aid, have delivered only one-third of that. Once again, U.N. officials aren't sure whether they will have enough food to get struggling Afghans through the winter. The relief agency CARE says Afghanistan needs $10 billion for reconstruction in the next five years to avoid a "downward cycle of despair." Assassination attempts and car bombings continue as President Hamid Karzai's administration struggles to govern. International security forces still patrol only in Kabul, although the Bush administration is weakening opposition to expanding their reach. Chayes, who covered conflicts ranging from Kosovo to Algeria, is worried by what she calls a state of collective post-traumatic stress that makes it impossible for people to grapple with the future. And she worries especially about the warlords' rise, which breeds corruption and blocks reconstruction. 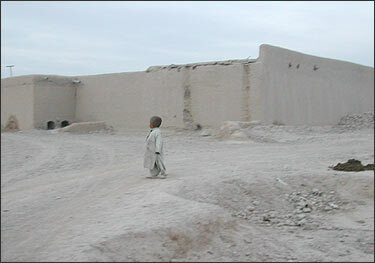 Caption: Sarah Chayes' house in Kandahar. She lives with a family. There are five sons, three of whom are married, so there is a total of 12 children. 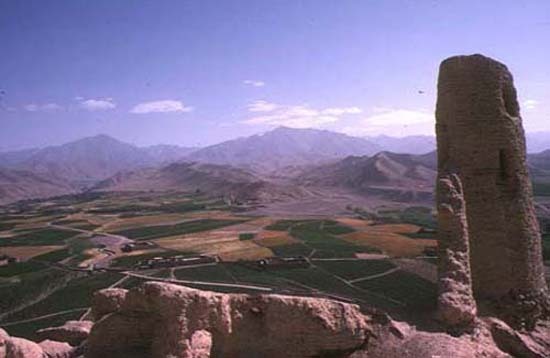 Shirzai, for example, jailed Kandahar's quarry manager after the manager relented and gave Chayes stone to rebuild 13 pulverized houses in a nearby village. "In Kosovo the first thing you saw after the conflict was houses going up," said Chayes, speaking by satellite phone from Kandahar last week. "A society needs to rebuild for both material reasons and symbolic reasons. By blocking people from building stone foundations, you're blocking that sense of hope." Chayes, 40, arrived in Quetta, Pakistan, near Afghanistan's southern border, almost a year ago from her reporting base in Paris. She rode to Kandahar with a soldier loyal to Shirzai as the Taliban fell last December. There she learned that Shirzai, a pre-Taliban warlord, wrested back his position with U.S. help by threatening civil war. In a public ceremony last April, Shirzai said that the United States gave him so much money that if it were water, it would end the drought. Shirzai is consolidating power as America's main ally in southern Afghanistan. "There wasn't a lot of thought by the folks who wanted to oust the Taliban about what would come afterwards," Chayes says, "and there still isn't a lot of thought. So long as there's a skin-deep layer of stability, that's all basically we're caring about." 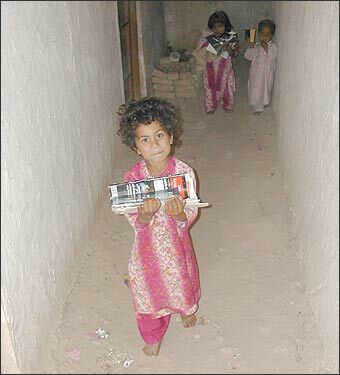 Caption: Nifada, one of the children Sarah lives with, is carrying her books. For Chayes, a Harvard-educated Middle Eastern history scholar who speaks Arabic honed during a Peace Corps stint in Morocco, covering the Taliban's fall was the story of a lifetime. Unlike hotel-bound reporters, Chayes moved in with a Kandahar family, forming close friendships. If it hadn't been already, her name became a household word for NPR listeners, who heard vivid descriptions of Kandahar's squealing school children, struggling war widows and hard-bargaining opium dealers. But in such dire circumstances, Chayes harbored growing misgivings about her role as an observer instead of an actor. Earlier she had considered becoming a relief worker, but she grew cynical in Kosovo after watching humanitarians grandstand to publicize their work. "I didn't want to go back to Paris and do bourgeois reporting," Chayes says, "entertaining well-to-do Americans with the foibles of well-to-do Europeans." Last January, as she prepared to leave Kandahar, Chayes shared her quandary with Karzai's uncle over dinner. Aziz Karzai told her that corrupt locals were poised to profit from the influx of aid money, just as they did after the 1979 Soviet invasion. "As I got up to leave, he said, 'Wouldn't you come back and help us -- not as a journalist?' " Chayes says. "It was like the signal from heaven. I just said, 'Yes. Yeah.' "
Working with President Karzai's older brother, Qayum, Chayes founded Afghans for Civil Society, a cross between a policy center and a humanitarian organization. "We are trying to have an impact on a policy level as well as on a concrete level," Chayes says. "That's what makes us totally unconventional." Chayes quit NPR and raced around the East Coast, raising money and laying groundwork. She returned to Kandahar last March, mostly on her own dime, and saw Kabul for the first time. 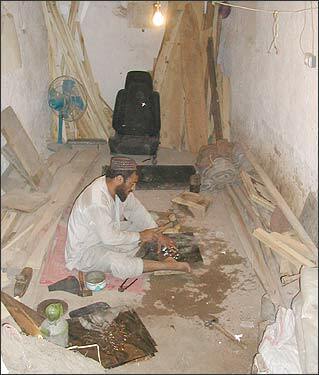 Caption: Nissar Ahmad in his shop. He is one of the sons in the family Sarah lives with, and he works embossing metal sheets to decorate the sides of trucks. The sons were all anti-Taliban fighters, and they organized a strike. They enlisted 280 auto shops, blocked a road and there was a gun battle. They hid out in this shop, which is underground, with garbage cans on top of the trap door. "The devastation that stared sullenly out at our passing car for blocks and blocks surpassed anything I had imagined," Chayes wrote in one of her frequent, highly descriptive letters home. "How can this city ever be rebuilt?" The fledgling organization is conducting focus-group interviews to gauge attitudes of ordinary people and of political representatives. It's helping women develop a leadership program and an embroidery cooperative. It's operating sister-school programs and starting a vocational school. It's launching the country's first independent radio station. And with the support of townspeople in Concord, Mass., it's rebuilding a village, Akokolacha, destroyed by U.S.-led bombing. Chayes, who has molded mud bricks and cajoled local workers, sees signs of hope. "Kandahar's an industrious place," she says. "And there's a passionate desire for education. I've never seen a people who, before they ask for water, they ask for schools." Caption: Afghans for Civil Society is working on a project to will allow American individuals or groups (eg. towns, professional and other associations), to contribute to rebuilding these homes; 100% of their donations will go to the rebuilding effort, and they will be provided with pictures of donors and beneficiaries back and forth to create a direct people-to-people link. Each house would cost about $1500.00 to rebuild. She's impressed by U.S. Army civil-affairs troops, who doggedly rebuild schools and drill wells in full combat gear. In contrast, she says, most international relief workers in southern Afghanistan are too frightened to work where help is most needed, outside Kandahar. "The only organization that's really going out," Chayes says, "is Mercy Corps," the Portland-based relief and development organization. Mercy Corps, which has 12 international staff members in southern Afghanistan, employs more than 400 Afghans in the countryside. It hires thousands of day laborers to work on community projects ranging from road building to irrigation repair. But long-term financial support for such programs now appears "questionable at best," says Lynn Renken, a senior Mercy Corps program officer. As a novice relief worker, Chayes has encountered the sort of challenges and setbacks that plague larger players. Documentary-makers, who captured the saga of the foundation stones, filmed townspeople in Akokolacha accusing her of being callous and imposing Western ideas. Ever the journalist despite herself, Chayes responded to the villagers' points and then turned the camera on the film-makers, interviewing them on the way their presence had not distorted but amplified the villagers' expectations and behavior. "We had a wonderful conversation," she says. 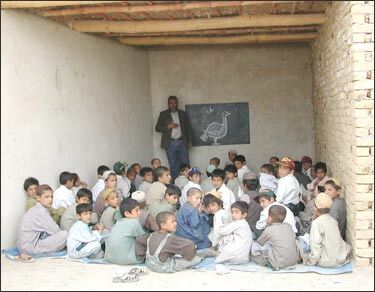 Caption: This is a makeshift classroom in the Mahmud Tarzi sister school, part of the program with Shady Hill school in Boston and the Packer Institute in Brooklyn, New York, another project of Afghans for Civil Society. Each school is adopting one Khandahar school, and the students will exchange letters, and eventually visit each other. Chayes has become a Kandahar curiosity of sorts. She drives herself around town, in contrast to most Westerners, who hire drivers. "Certainly the first female to drive through Kandahar in 30 years," she commented in an e-mail last June. Chayes has moved into a compound that contains offices, living quarters and a yard with animals, including a black cow that belonged to Mullah Mohammed Omar, the fugitive Taliban leader. Omar's movement would never have gained power, Chayes says, if not for the warlords, whose excesses led Afghans initially to welcome the fundamentalists. Warlords are digging in across Afghanistan, she says, threatening Karzai's government as much as al-Qaida and the Taliban. "The warlords are the bad guys, and the Americans don't seem to take that on," Chayes says. "There is no lack of religious extremists hanging around in the woodwork waiting for this experiment to fail." Richard Read: 503-294-5135 or richread@aol.com. 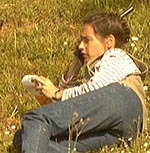 Caption: Sarah on the Kosovo border, filing a spot during a KLA offensive, staying under the lip of a hill to avoid shells. Foreign Correspondent Sarah Chayes's reports can be heard on NPR's Morning Edition, All Things Considered, Weekend Edition, and NPR newscasts. Chayes began her work with NPR in February 1997. Chayes's coverage focuses on France (straying as far as Corsica and the Basque Country in Spain), as well as North Africa (Algeria). Since the failed Rambouillet negotiations on Kosovo in early 1999, Chayes's coverage has concentrated heavily on the Balkans and NATO, bringing NPR listeners vivid portraits of the turmoil and tragedies suffered by those caught up in the conflicts and their aftermath. She also follows the Hague War Crimes Tribunal for NPR. Her outstanding coverage of developments in Kosovo earned her a spot among the winners of the two awards NPR has received for the international coverage: an Overseas Press Club Lowell Thomas Award and the Society of Professional Journalists' Sigma Delta Chi Award for Excellence in Journalism. 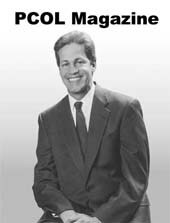 Before NPR, Chayes reported for Monitor Radio in France and previously held posts as a researcher, then a reporter/producer at Monitor 's headquarters in Boston.